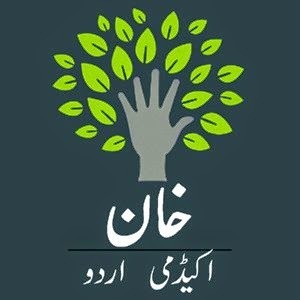 Koshish Foundation, a Silicon-Valley based non-profit corporation (Chairman, Suhail Akbar) with a strong presence in Pakistan where it works on education-related projects, has announced the completion of over 1700 math and basic science videos that are Urdu translations of the Khan Academy tutorials. These math and basic science videos can enable students learn Grade 3 to Grade 12 level math, chemistry, physics, and biology in Urdu. Funding for the video translation work was provided by renowned Pakistani-American technologist and philanthropist Safi Qureshey, with Bilal Musharraf, Khan Academy’s Dean of Translations, acting as the liaison between Safi Qureshey and the Koshish Foundation. Safi Qureshey rose to fame in 1992 when AST, a computer company in California he co-founded with two partners, entered the list of Fortune 500 companies. Qureshey was the first Pakistani to walk the path of entrepreneurship in computer technology in the US, and he was the pride of his country of birth. Pakistanis in general and Karachiites in particular took Qureshey’s international success with teary-eyed pride. This scribe remembers seeing billboards with Safi Qureshey’s picture along Shahrah-e-Faisal in Karachi. Qureshey has definitely been an inspiration in one way or another for today’s large pool of Pakistani Americans starting up their own businesses, putting hard work in them, and taking them to success. Safi Qureshey realizes the importance of education and has been helping out people and institutions focusing on primary education in Pakistan. Muhammad Mahboob Akhter, a long term associate of Safi Qureshey, helps Qureshey in identifying and supporting education causes. In 2000-2001 Safi Qureshey provided funds for educational TV program ‘Khul Ja Sim Sim’ (popular US "Sesame Street" shows localized in Urdu for young TV viewers in Pakistan). Koshish Foundation’s Urdu translation work of the Khan Academy videos—funded by Safi Qureshey--is being done by two top-notch translators in Karachi: Aleem Ahmed of the Global Science magazine and Zeeshan Hyder. Currently there is a ban on YouTube in Pakistan. Since the original Khan Academy videos and their Urdu translations are hosted at YouTube, very few students in Pakistan can access this educational resource. (A few Urdu videos are available on Dailymotion). Even when access to YouTube is restored in Pakistan, a large number of students not connected to the Internet will not be able to reach these educational videos. Koshish Foundation views a different way its work will be utilized in Pakistan. Koshish sees non-profit organizations and conscientious citizens downloading this material on their computers and using it to run their own schools with minimum operating expenses. All they need will be a classroom, a computer with downloaded videos on it, and a projector; a chaperone can oversee the students and the learning process. When better resources are available students can be given computers to do related practice exercises. Ali Hasan Cemendtaur, the author of this post, is a Silicon Valley blogger and writer. Ali appears with me on the weekly Viewpoint From Overseas show recorded in Silicon Valley. Ali has been instrumental in Microsoft's support of Urdu fonts on Microsoft Word, and he is currently managing Urdu translations of videos at Khan Academy. Ali is a friend and a fellow NED University alumnus. Appreciate your help in spreading the word out. Needs to be translated in provincial languages as well. Riaz Sahib -- thank you for posting it. You are welcome. Both of you are the unsung heroes among Pakistani-Americans. The work you are doing is greatly contributing to the uplift of fellow Pakistanis. Based on Alexa traffic data, updated on 10 Apr 2014 at 01:24 GMT. 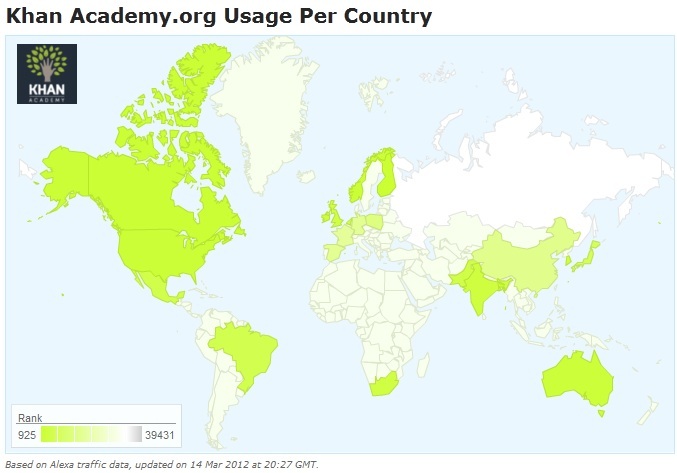 In spite of the fact that Youtube is blocked in Pakistan, 1.3% of the Khan Academy.org users come from Pakistan and they generate 0.7% of the pageviews on Khan Academy.org. Even as the government calls for promoting the use of local languages - in the real world and online - a dedicated group led by a language technology expert from Pakistan is working to help the non-English speaking population in India access web addresses in their local scripts. The 22-member panel, which is working with the Internet Corporation of Assigned Names and Numbers (ICANN), comprises professionals from the Ministry of Communication and Information Technology's Centre for Dev .. The panel is headed by eminent professor Udaya Narayana Singh, Chair, Centre for Endangered Languages, Visva-Bharati University. It is being supported by ICANN's Sarmad Hussain who is based out of Pakistan, and has been helping develop internationalised domain names (IDN), or domain names in local languages - such as '.bharat' in Hindi. The current project is expected to drive regional content. "It reduces the barrier for people to come online," Hussain told ET over the phone, talking a ..
..there's about a 50 percent chance that any given person speaks a language from the Indo-European family, as Shoaib Daniyal recently reported for Quartz. Indo-European languages, a family that includes about half the languages spoken today. But there are still a lot of questions about who founded that original tongue, and when, and how it spread. Linguists do know that Proto-Indo-European was a language unique to a tribal culture in ancient Eurasia. They know that these ancient humans only spoke their language, they never wrote it down, and today it's extinct. (Of course, that hasn't stopped linguists from trying to reconstruct the language.) But they don't know exactly when and where the language truly began, or how it came to birth so many of our modern tongues. Google today is expanding its speech recognition capabilities to support dozens of new languages, particularly those in emerging markets in India and Africa, the company announced this morning. That means more people around the world will gain the ability to search the web by voice as well as type via voice using Google’s keyboard app, Gboard. The company says with the update, it’s adding 30 languages and locales around the world, bringing the total supported to 119. The update includes 8 more Indian languages, as well as Swahili and Amharic, two of Africa’s largest languages. However, the more critical part of this news is what this means for those in emerging markets – regions that are often ignored when it comes to being among the first to gain access to new technology advances from tech giants. But with mobile, that’s changed. Tech companies are now aiming to establish footholds in these regions, as the next large swath of internet users come online. In India, especially, Google’s move to expand speech recognition tech could have a significant impact. The country is estimated to have some 420 million mobile internet users as of this June, making India one of the biggest markets in the world for companies like Apple, Google and Facebook to address. Google’s expansion with voice technology also comes shortly after a piece in The Wall Street Journal detailed how tech companies are rethinking their products for the developing world – in particular, how the next billion mobile users will heavily take advantage of technologies like video and voice. Google, for example, told The WSJ, that it’s been seeing “a new kind of internet user” – a group that’s “very different from the first billion” in terms of how they access the web. To develop speech recognition capabilities for these new languages, Google combined human labor with its machine learning technology. The company says that it works with native speakers to collect speech samples by asking them to read common phrases. This, in turn, helped to train Google’s machine learning models to better understand the sounds and words of the new languages to improve their accuracy when they were exposed to more examples over time.